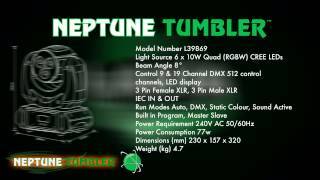 The Neptune Tumbler is a creative twin sided moving head. A narrow bema with Quad (RGBW) LEDs produce a double beam effect. With a 360° Pan & Tilt continous rotation and twin heads make an awesome tumbling effect that will fill any room. Control both side independently to produce either a one or two sided light show.High output super bright LED Technology is moving at an incredible pace and LANTA products are at the forefront of LED design. But there is more to having brightness than just components. To make an LED last longer, work brighter and work better, a complex combination of heat dissipation, lens technology, power supply design and mechanical assembly all have to be optimised for best performance. With all LANTA lighting, this is all brought together coupled with automated assembly. The result is brighter products, longer lasting and brilliant value! Considering purchasing the Lanta Neptune Tumbler? Have questions? Ask people who've recently bought one. Do you own the Lanta Neptune Tumbler? Why not write a review based on your experience with it. Seen a video for Lanta Neptune Tumbler online or have you own video? 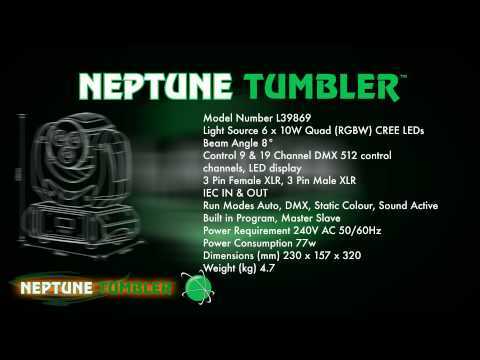 Check out Lanta Neptune Tumbler on DJkit.com!